“Amy White and 14 of her classmates from the University of Virginia piled into cars and headed south for spring break last weekend. They weren’t headed to the beach or a Caribbean cruise. Their destination was Greensboro. Their goal, to roof houses and build a handicap ramp for people in need. People like Bertha Martin, a 72-year-old mother of three who became disabled several years ago. The ramp the students tackled was massive, nearly the size of Martin’s entire house. Once the ramp is completed, Martin should be able to safely navigate her sloping front yard without the risk of falling, which has happened to her before. “While Greensboro residents have reaped the rewards of the college student’s work for nearly a decade, Greensboro is not the only community that benefits from this team’s efforts. 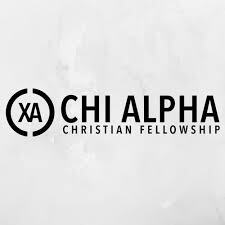 Each spring break, Chi Alpha Christian Fellowship sends out 10 crews to five communities across the United States and five countries across the globe. The student team in Greensboro won’t finish this project before they head back to class but they will have gotten the ramp off to a healthy start.